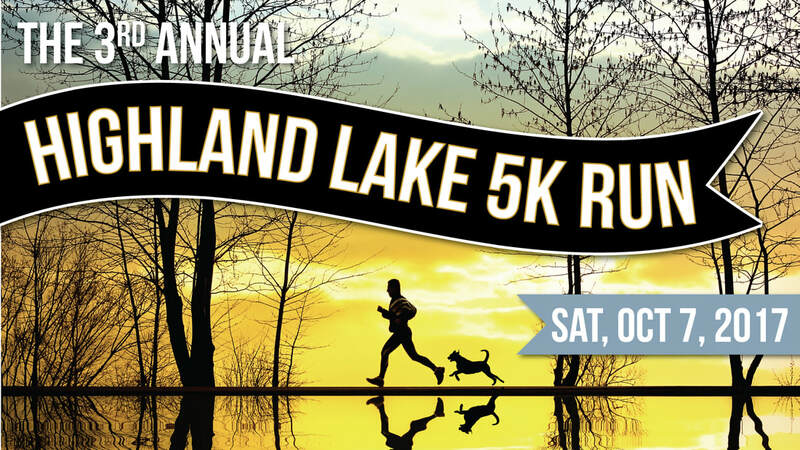 On the first Saturday in October, the Town of Highland Lake and its Lady Lakers sponsor their Annual Highland Lake 5K Run. The 2017 run will be on Saturday, October 7, and is sponsored by the Lady Lakers of Highland Lake. NEW THIS YEAR: Enter as a group, corporation, or school! Pre-Registration is $25. Day of Run, $30. Registration on the day of the event begins at 7:00 a.m., with the 5K starting at 8:00 a.m. sharp. There is a $15 entry fee plus a donation of one bag of Purina Puppy Chow. 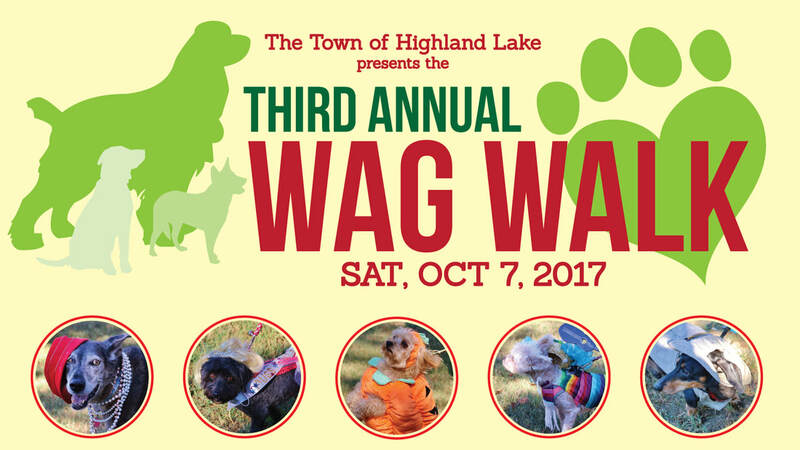 Registration begins at 9:00 a.m. Wag Walk begins immediately following the Highland Lake 5K Run Awards Ceremony. Entrants must complete a registration form with name, contact information, and description of dog and the costume clearly written if you'd like for the emcee to announce your dog. Entrants will be given a participant number to wear so it is visible to judges at all times. Dog owners are responsible for cleaning up after their dogs. Each dog must have his/her own adult walker/attendant. Registration begins at 9:00 a.m. You may pre-register by submitting the registration form online or pick up one at Town Hall. No entrants is eligible for more than one award.